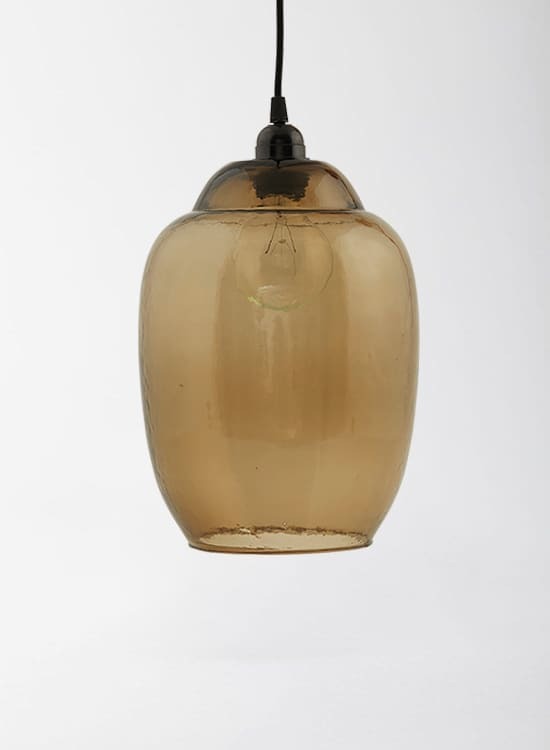 This timeless recycled small smoked glass pendant shade will shine brightly wherever you decide to hang it. This is a ceiling light which will fit well in a contemporary or traditional home interior. The pendant has a textured finish which adds to its character and charm.